Slow Down, see the horizon to the target. Let the eyes and left arm lead the body to the target. 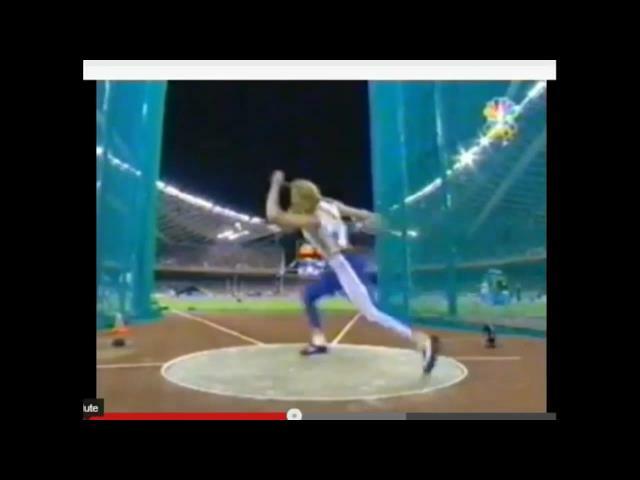 The wide right leg works/races ahead of the paused or slowed left side to create torque. Starting too fast in the unwind and first turn with the left side makes the right leg go fast to catch up to the left side. 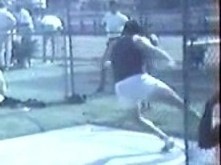 To go fast it works like a hammer thrower’s right leg, short, fast and close to the left knee. 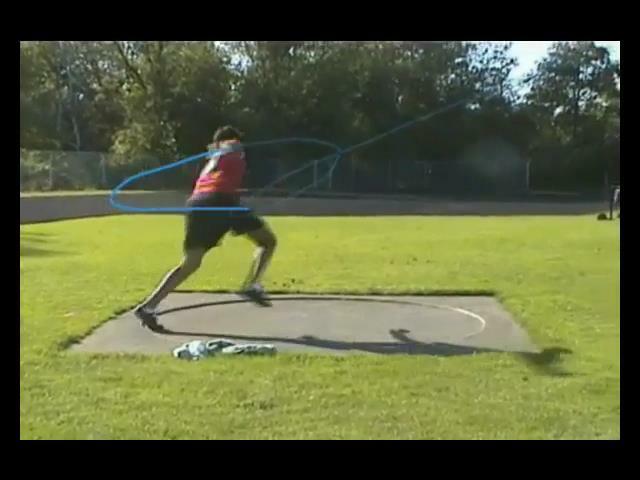 This narrow and fast right leg has NO POWER in the middle of the circle. It has a short radius and is trying to catch up to the fast upper body. It never does in this case. It is forced to create a fast to slower rhythm. Longer and slower on the first turn to shorter and faster in the middle is the correct but counter intuitive rhythm for the throw. We are only trying to get down to a powerful start position at the back of the circle like a sprinter in the blocks in the “set” position at the start of a race. Think about what position will create the most power for you when facing the throw direction in the single leg support phase. 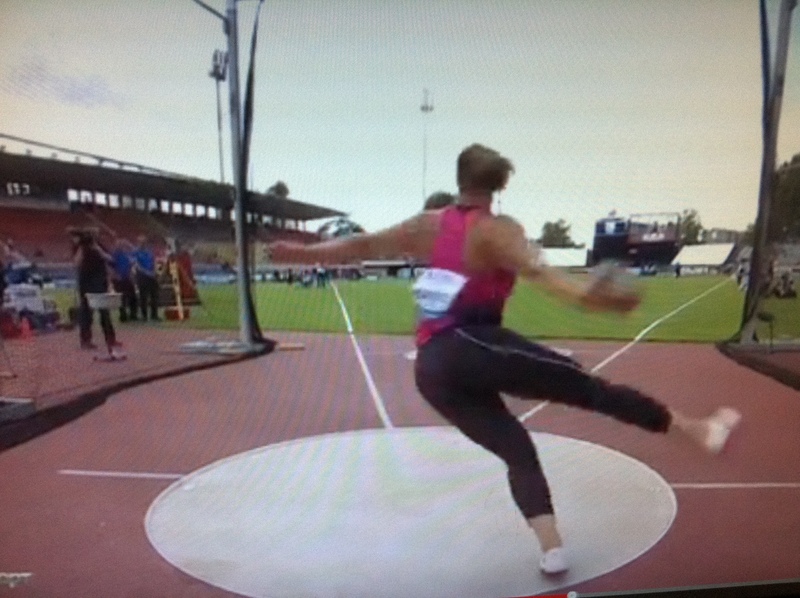 How can you create the most linear AND rotational force with your right leg? How can you best make your hips rotate as fast as possible in the middle of the circle? Feet and knees close together is not a powerful starting position. 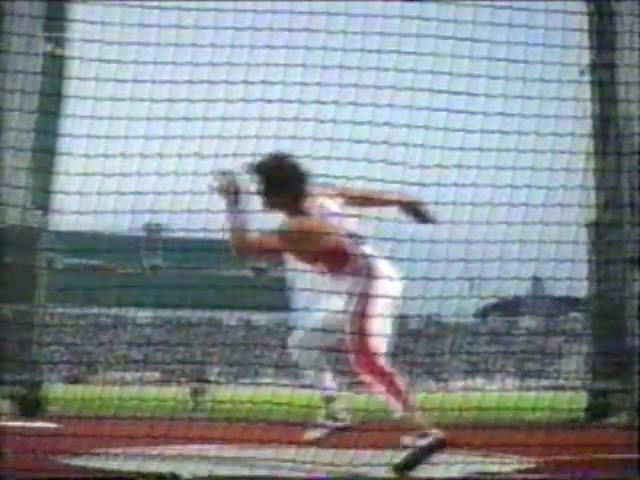 A wide right leg out the back of the circle with the left thigh vertical (left hip out) providing some unseat to the target just naturally feels powerful. See the photos below. Also note the upper body posture. 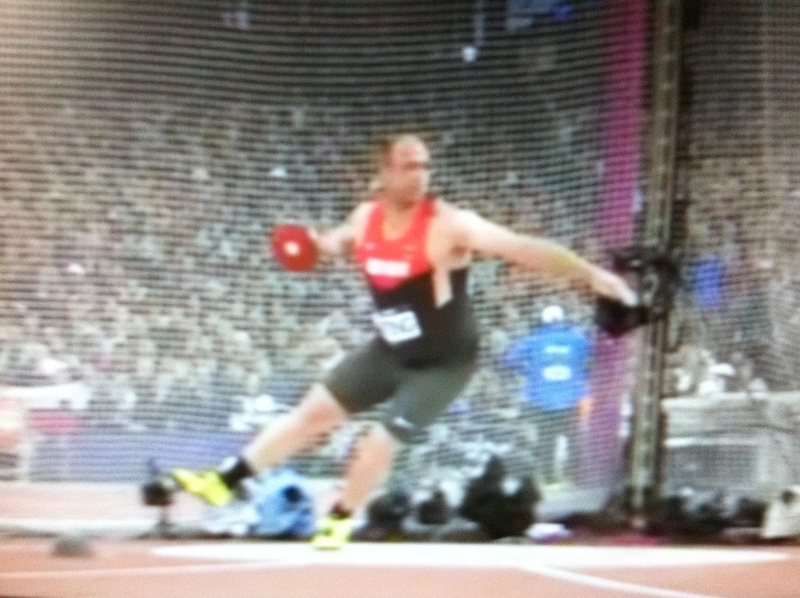 No, he really isn’t throwing here, just finding the position during a competition. 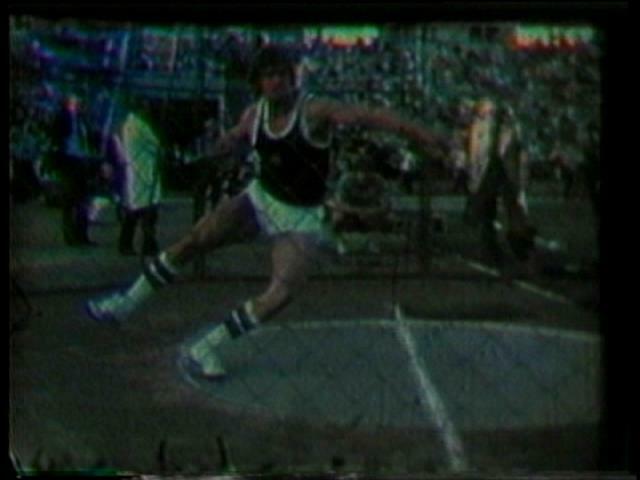 LJ Silvester, the Original, First over 60m, First over 70m. 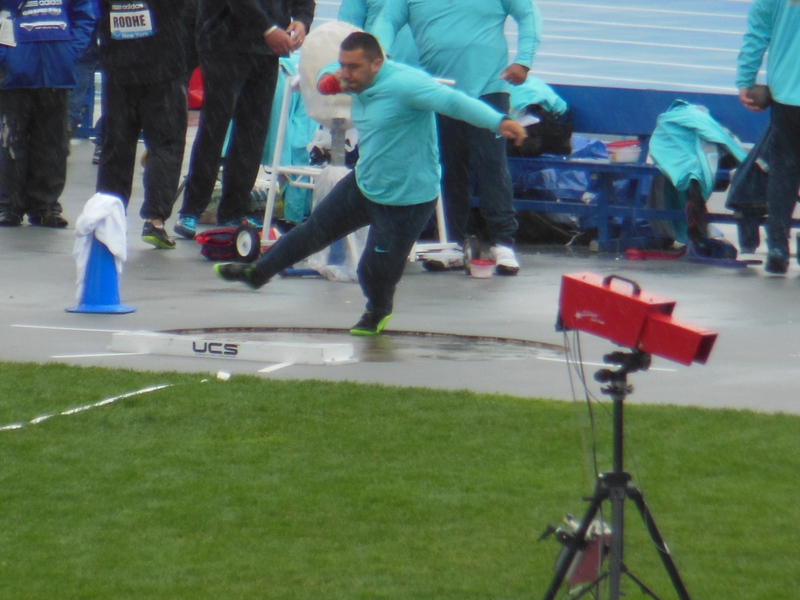 Throwers start with different timing and different right leg action at the back. 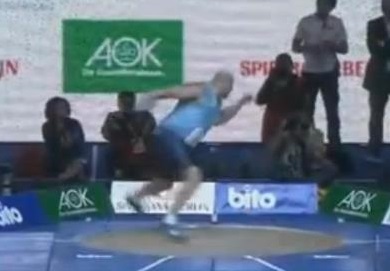 LJ Silvester and Wolfgang Schmidt got their right foot off the ground sooner than anyone in relation to the turning of the left side. Their right leg swept forward leading with the inside of the thigh. 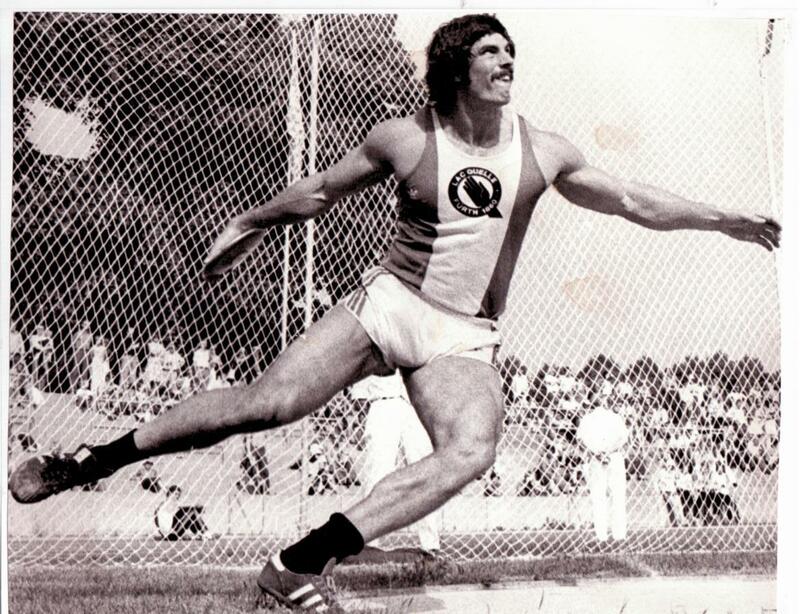 Others (Lars Reidel below) keep the right foot on the ground longer at the back and lead more with the top of the thigh with a bit of a hitch kick action. 1. 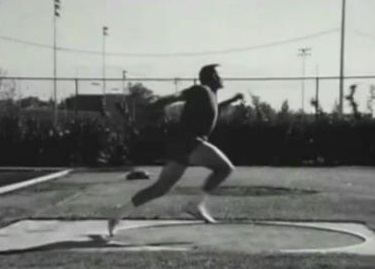 All who do this effectively will show in the shortened position a right leg with the foot slightly under or behind the knee similar to a sprinter’s leg position. 2. The key is to not turn the left side too fast so the right leg cannot swing wide before shortening and accelerating ahead of the left side, creating torque. When you have that down, don’t forget Point #1 about pausing or slowing the left side somewhere while turning on the left leg to ensure the right leg can get ahead to create torque. 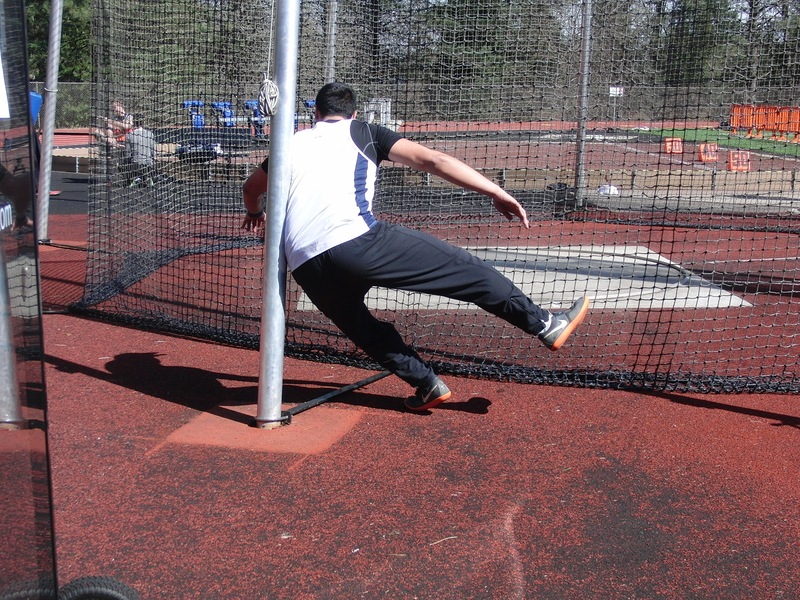 Using the Wide Right Leg DOES NOT require a 600lb squat. It is a position you move through. 14 yr. old non weight trained female with wide right leg. Whatever you do at the back of the circle you must repeat at the front, whether good or bad. 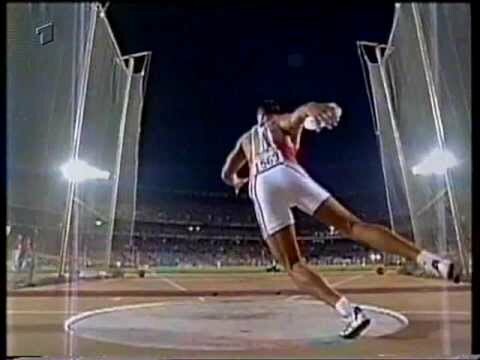 If you want to throw the discus with your right hip ahead of the right shoulder (for right handed throwers) then work the right hip (wide right leg) at the back to the middle of the circle to lead the upper body. If you lead with your head and shoulders at the start you will lead into the throw with your head and shoulders first in the delivery. Good Luck with that one. 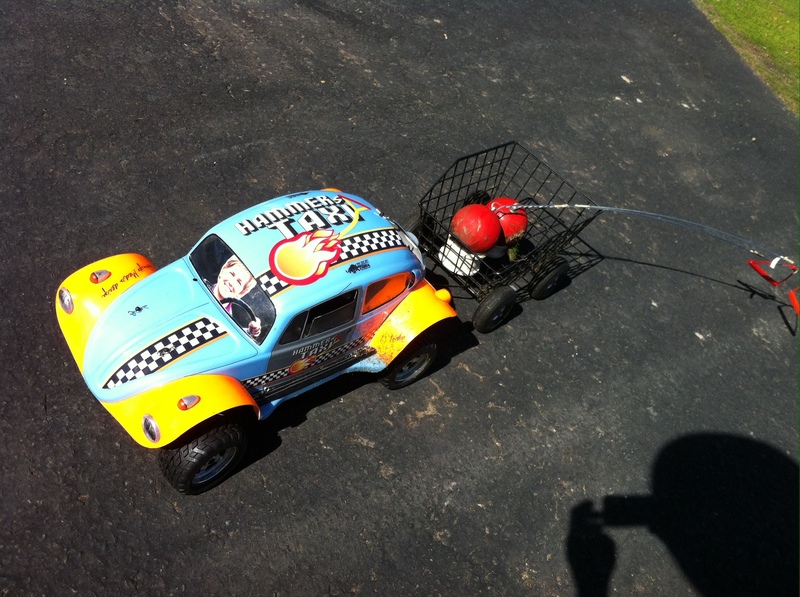 Left Side Drive v Right Leg Engine – Its OK to push with the left leg at the back of the circle. Just maintain the integrity of the throw rhythm. You do want to load the left foot as you turn at the back getting into the “set position”. Getting the left foot down as fast as possible at the front is NOT the goal. Getting the left foot down AT THE RIGHT TIME is the goal. Keep the right foot close to the ground – yes, if you are hopping up in the middle and destroying your rhythm. But if the right foot is close to the ground all the way, you are losing power by having a shorter right leg radius. Check out the long right leg on Ms “Seventy Meter Sandy” Perkovic below. She’s not skimming the ground with the right foot. 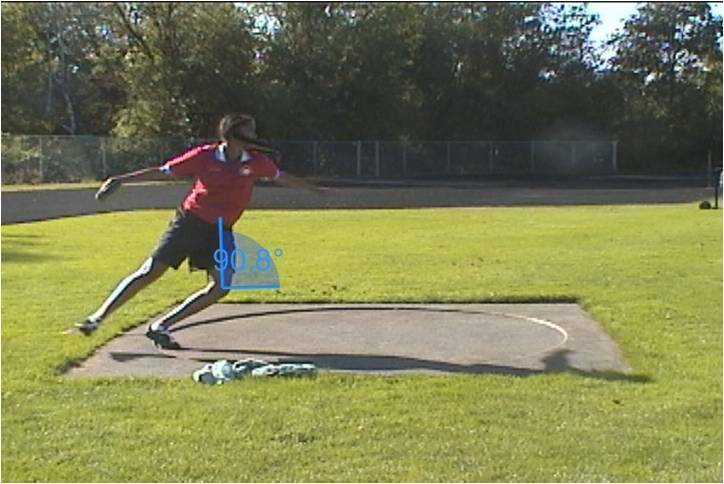 Below are More Long, Wide, and Relatively Slower Right Legs waiting to shorten and accelerate the rotation of the hips and discus/shot put.